විවෘත ආරාධනය – හිතවතුන්ට, දායක දායිකා පවුල්වල සැමට, ගංගාරාමයට සහ සම්බන්ධ ගරු මහා සංඝරත්නයට, ජිනරතන කාර්මික විද්‍යාල දරුවන්ට, ඉගෙනුම/පුහුණුව ලැබූ සැමට, එම පවුල්වල සැමට, කතරගම ගංගාරාම විශ්‍රාම ශාලාවට ආධාර කළ, නවාතැන් ගත් සැමට, පොදු සේවාවලට සහය දුන් සැමට. වකුගඩු ශරීරයට හෘදය වස්තුව හා සමාන වටිනා දෙයකි. අද සැමට අහිමි වී යන්නේ වකුගඩුවය. එම රෝගයෙන් සකල ලංකාවාසී ජනතාව ආරක්ෂාකර ගැනීමට ශ්‍රමයෙන් කැපවීමට කැමති සත්පුරුෂයන්ට එක්වීමට ආරාධනා. අඩුතරමින් තම පවුලවත් මේ රෝගයෙන් ආරක්ෂාකර ගැනීමට අප සමග එක් වන්න. පළමු පියවර ලෙස පානීය ජලය හොඳට උණුකර නිවා බීම ආරම්භ කරන්න. වකුගඩු රෝගයෙන් පෙළෙන අය ආහාරයට ගන්නා එළවලූ පැයක් දෙකක් සැර ලූණු වතුරේ තබා පිසීමට ගන්න. අපවිත්‍ර ආහාර නොගන්න. සත්ත්ව මාංශයෙන් වළකින්න. මාංශයෙන් වැළකීමට බැරි අය වතුරේ පෝෂණය වන මූදු මාළු මාංශයෙන් සීමාවක් තබාගන්න. ආහාරය, පානීය ජලය පරිස්සමින් භාවීතා කිරීමෙන් වකුගඩු රැකගත හැකිය. වකුගඩු රෝග නිවාරණ වැඩ සටහනට මුදලින් ආධාර අවශ්‍ය නැත. ශ්‍රමයෙන් , කැපවීමෙන් අනික් අයට මගපෙන්වීමෙන්, ආදර්ශනයෙන් නිවාරණය කරගත හැකිය. 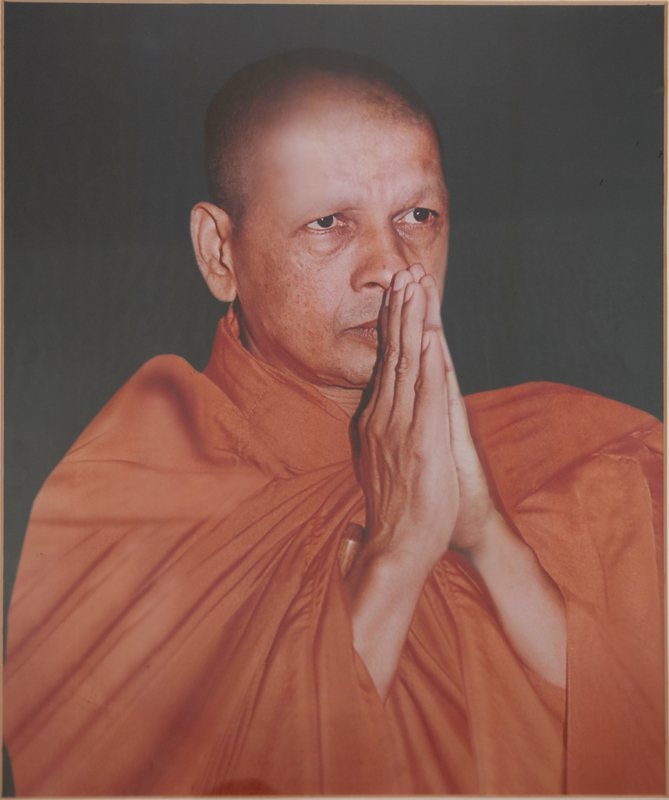 The organisers extend an open invitation to all friends, dayakas and their families, the maha sangha connected to the Gangaramaya, students of the Jinaratana Technical College, past students, their families, those who sponsored or stayed at the Gangarama Pilgrims’ Rest and everyone who assisted in the temple’s public endeavours. “Kidneys are organs as vital to your body as your heart, yet many today are in the danger of losing these important organs. We extend an open invitation to everyone willing to work towards protecting Sri Lankan from the disease. Join us to ensure that your family and the society at large is protected. “It is of primary importance to drink water that has been boiled and cooled. Those suffering from the disease should partake of vegetables that has been kept in strongly salted water for 1-2 hours. Make sure the food you eat is clean. Meat and fish should be avoided, and if this is not entirely possible, limit yourself to sea fish. Discipline and care in food and drinking water is key to protecting your kidneys.